Yes, you can actually buy mattresses on Amazon. I have a secret to tell you. Come close. Closer. You don’t have to pay a lot of money to redo your bedroom. It's way too easy to spend hundreds of dollars buying new blankets, sheets, and pillows from luxury brands, but please don’t. Seriously, Amazon has some genuinely amazing bedding products that are all reasonably priced and loved by literally thousands of people. So whether you’re looking for a new duvet, pillowcases, or whatever, it's worth checking Amazon first. 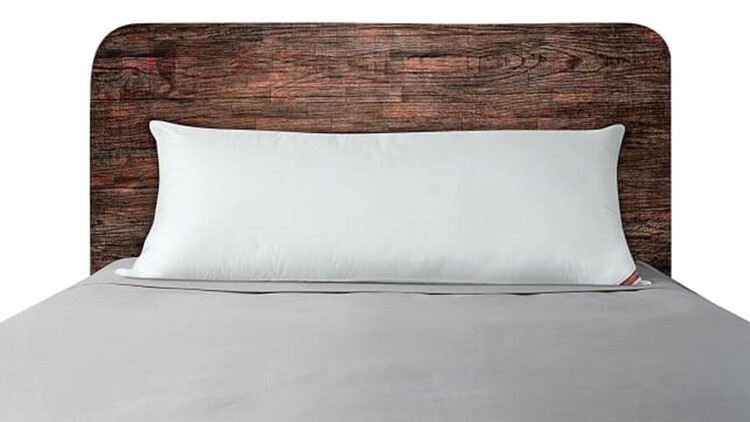 In case you’re skeptical, here are 18 bedding products with more than 1,000 reviews from happy, happy Amazon customers. There are lots of products that have cult followings—games, beauty products, TV shows—but sheets? 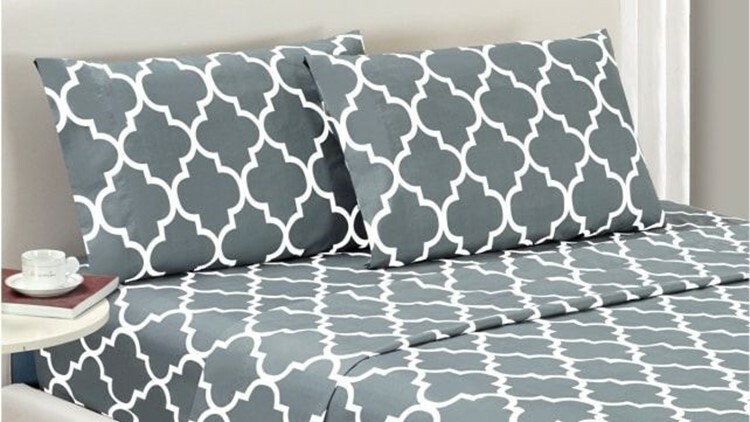 We were a little surprised too, but there’s something about this sheet set that tens of thousands of people love. The budget-friendly set from Mellanni comes with a fitted sheet, a flat sheet, and two pillowcases, and the main takeaway from all those positive reviews is that these sheets are soft, silky, and vibrantly colored. You'll feel like you're sleeping on a cloud. You’ll feel like royalty while sleeping on these luxe satin pillowcases. The fabric is comfortable all year 'round, and the pillowcases have zippers to prevent them from sliding off the pillow while you sleep. 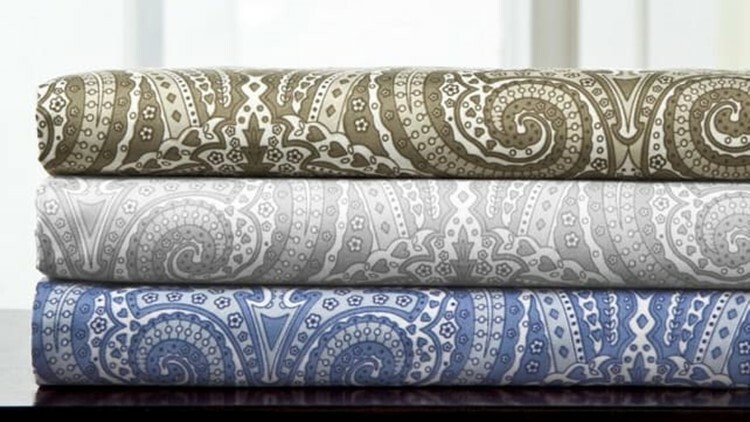 Plus, they come in a wide variety of colors and patterns to choose from. Keep allergens out of your precious pillows. It’s incredibly aggravating when you climb into bed at night, only to immediately get stuffed up when your head hits the pillow. 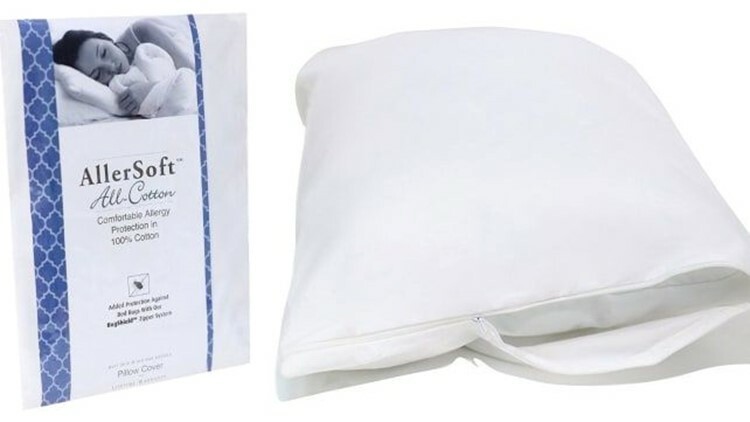 If this sounds familiar, you need pillow protectors like these from Allersoft to keep dust mites, beg bugs, and other allergens out of your pillows. 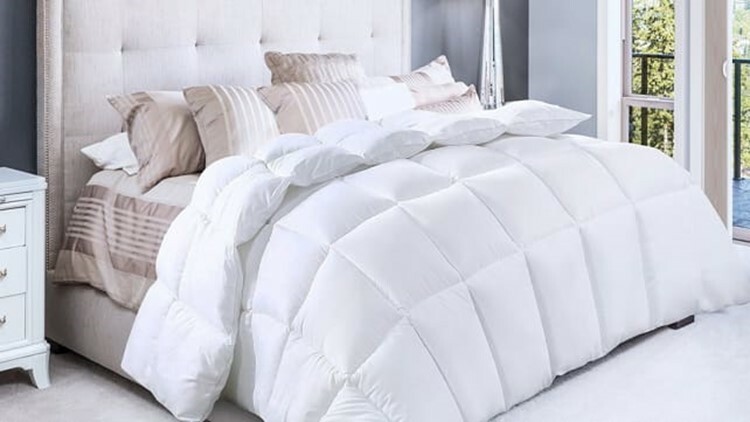 Reviewers leave rave reviews of this reversible comforter. 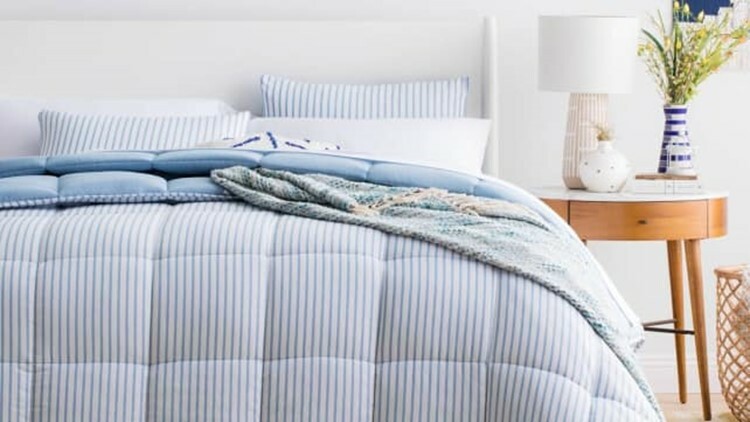 If you’re looking for a plain, classic comforter for your bed, you have to check out the Linenspa Nautical Chambray Comforter Set, which includes two pillow shams and a blanket. 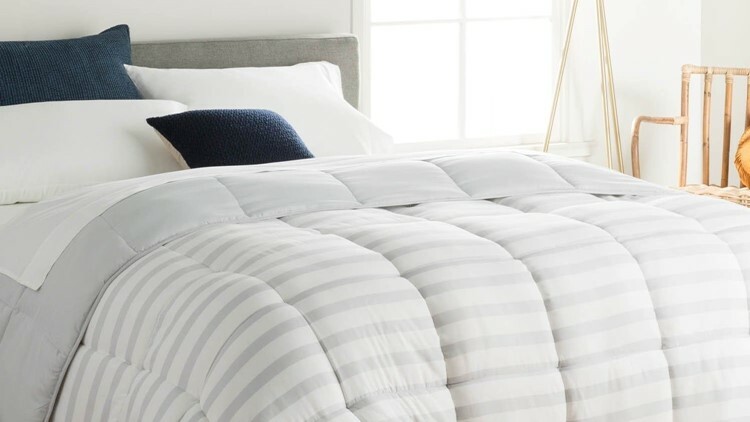 You can use the reversible microfiber comforter on its own, or slip it into your favorite duvet cover for extra flair. Soft, cozy sheets coming right up! Do you like crawling into a soft, welcoming bed at night? Then these microfiber sheets, which come with flat and fitted sheets as well as two pillowcases, are the ones for you! Reviewers rave about how comfortable this sheet set is, and it comes in dozens of colors and patterns to fit any aesthetic. If you're in the market for new pillows, check these out. What’s better than one super comfortable bed pillow? Two of them! 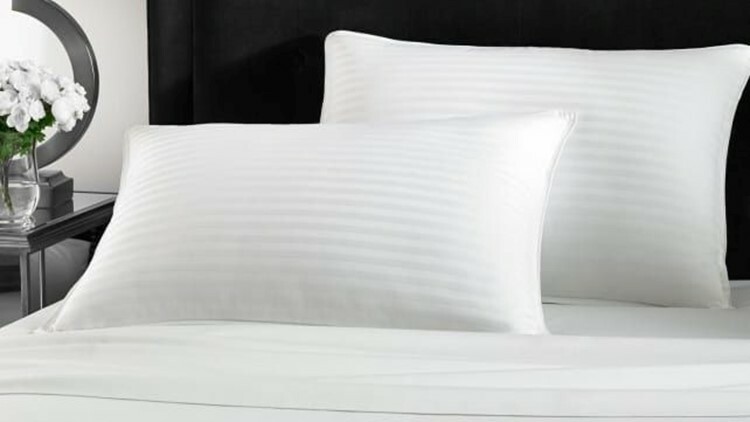 Reviewers say the Beckham Hotel Collection Gel Pillows are soft, comfortable, and mold to your head perfectly. 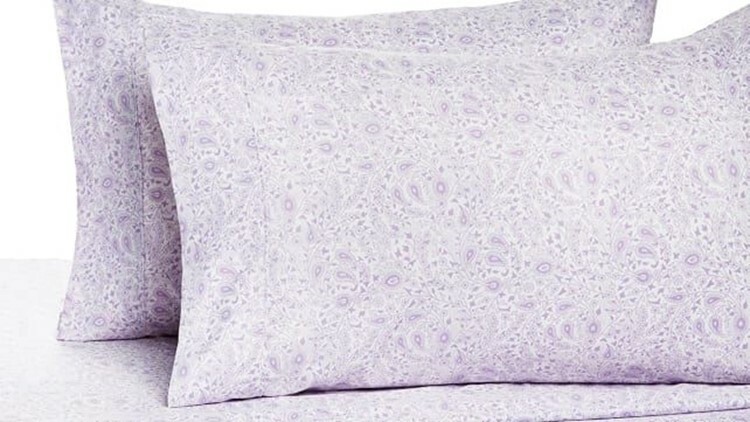 This top-rated duvet insert is incredibly affordable. If you’re on the hunt for a new duvet insert, look no further than this one from Utopia. Seriously, reviewers say it’s the best they’ve ever had—perfectly fluffy, soft, and warm. Not to mention it’s incredibly affordable and often goes on sale for even less too. You can adjust this pillow to perfectly fit your needs. Before you balk at the price tag on this pillow, hear me out. 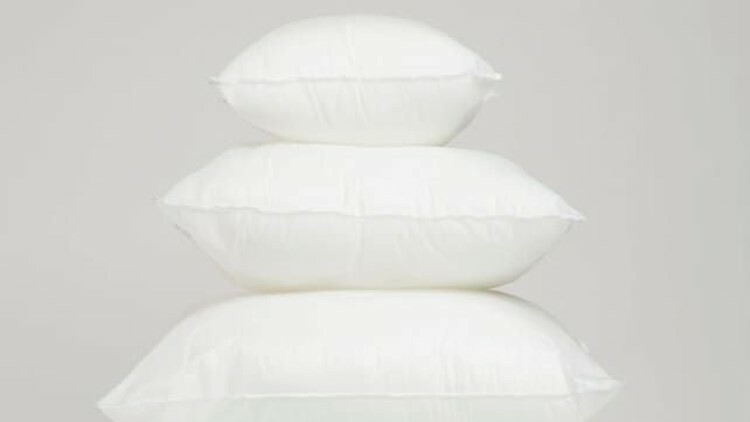 This adjustable shredded foam pillow from Coop Home Goods may just be the best you’ve ever slept on. Reviewers say that’s it’s incredibly supportive, and they love that you can take out the filling to adjust the height. Plus, it’s hypoallergenic and breathable to keep your head cool all night. And it's quite similar to the best pillow we've tested, which has the same rating, but far fewer reviews. This blanket is equal parts cozy and cute. 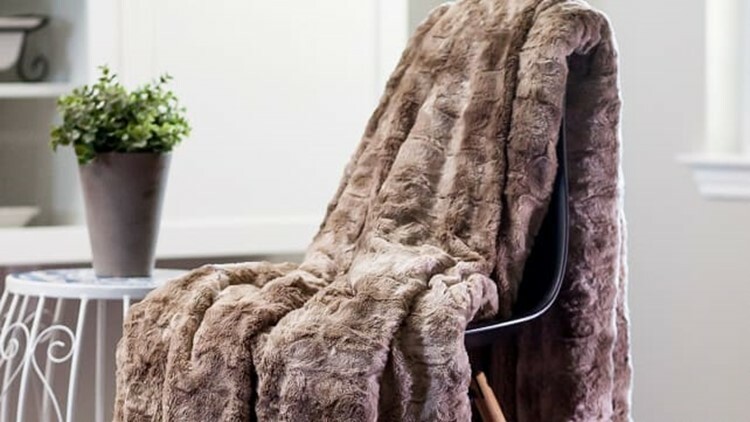 Give your bedroom a touch of glamour with this elegant faux fur throw blanket. It comes in a variety of colors to match your decor, and reviewers love that it’s extremely soft, stylish, and affordable. Get the support you need while sleeping. If you need extra support while sleeping, reviewers recommend this half-moon bolster pillow. Many say it’s helpful if you have back pain, scoliosis, knee pain, and other similar conditions or injuries that make sleeping a challenge. 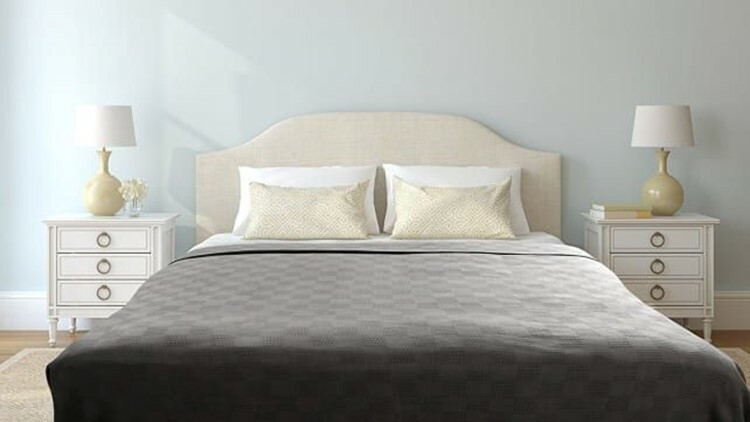 This brand delivers high-quality bedding at a low price. Remember the sheets with a cult following from the beginning of this list? Well, the same brand also sells bedspreads that are arguably just as amazing. 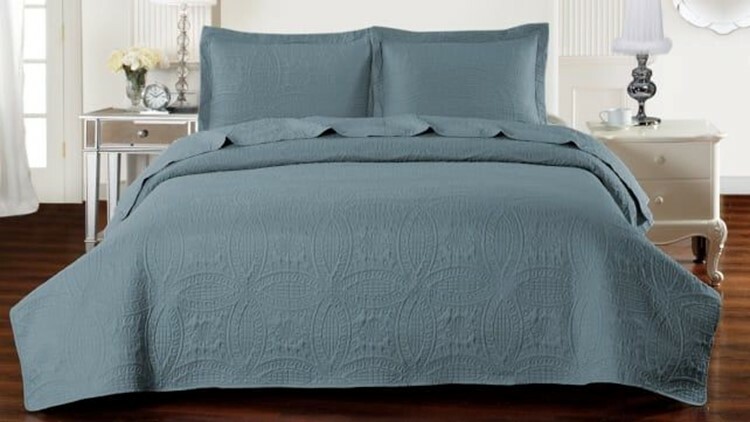 This coverlet set includes two shams and a bedspread—all for a reasonable price. Happy buyers say it’s the perfect light blanket for summer. Get top-rated support for a low price. 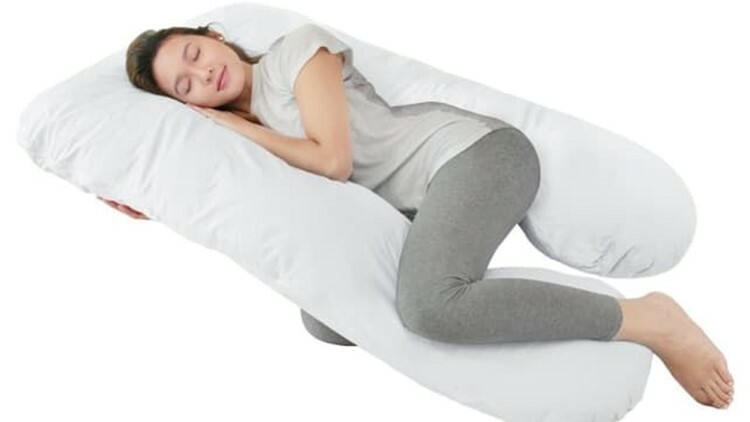 You don’t have to spend a lot of money to get a great body pillow to cuddle at night. According to reviewers, this hypoallergenic body pillow from Aller-Ease is amazingly soft and squishy. However, people do warn that you should only purchase the pillow directly from Amazon or Aller-Ease, as there are counterfeits floating around out there from third-party sellers. It's not just for pregnant women! If you’re willing to pay a little more for a top-notch body pillow, this product from Queen Rose is the way to go. The U-shaped pillow is ideal for side sleepers or pregnant women, as it provides unbeatable support from all sides. This woven blanket is made from 100% cotton. If you have a minimalistic aesthetic, this throw blanket is perfect for your bedroom. The woven cotton blanket has a chic waffle square pattern, and it comes in either gray or white. Keep in mind that because it’s 100% cotton, it’s not the softest blanket—if you're looking for something super soft, check out the next product. Cozy up in this warm, vibrant throw blanket. Fleece blankets are some of my favorites, as they’re unbeatable soft and cozy. This particular option from Bedsure gets consistently good reviews from buyers, who say the blanket is ridiculously soft and a favorite among their pets. Amazon has its own line of products called AmazonBasics, and their microfiber sheet set is a hit among reviewers. You get a flat sheet, a fitted sheet, and two pillow cases with your purchase. Not only are these sheets budget-friendly, but they’re also soft and colorful. Swap out the pillow covers as often as you want with these inserts. Sure, these pillows aren’t much to look at by themselves, but that’s because they’re meant to be put inside decorative pillow covers. They range in size from 12 to 28 inches, and reviewers say they’re awesome inserts, especially for the price. 18. A mattress in a box—no, really! Believe it or not, you can buy mattresses on Amazon. And believe it or not, some of them are actually really nice. 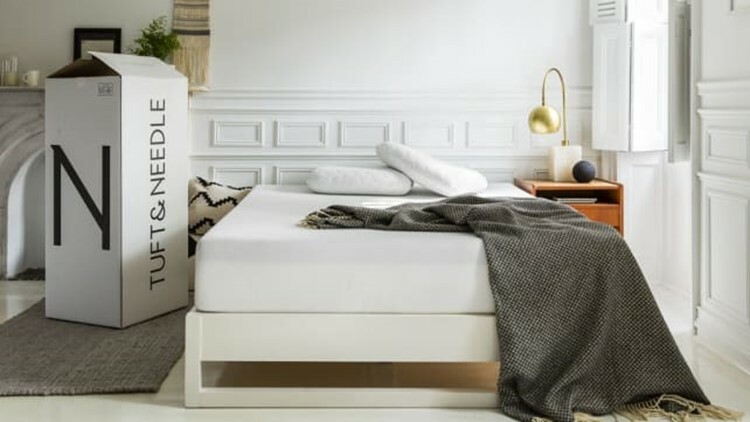 Tuft & Needle is one of the top-rated online mattress retailers these days, and buyers use words like “perfect,” “worth every penny,” and “like sleeping on a cloud” to describe their mattresses. While it's more expensive than other items on this list, this mattress is still a steal when compared to other options that can cost well over $1,000.